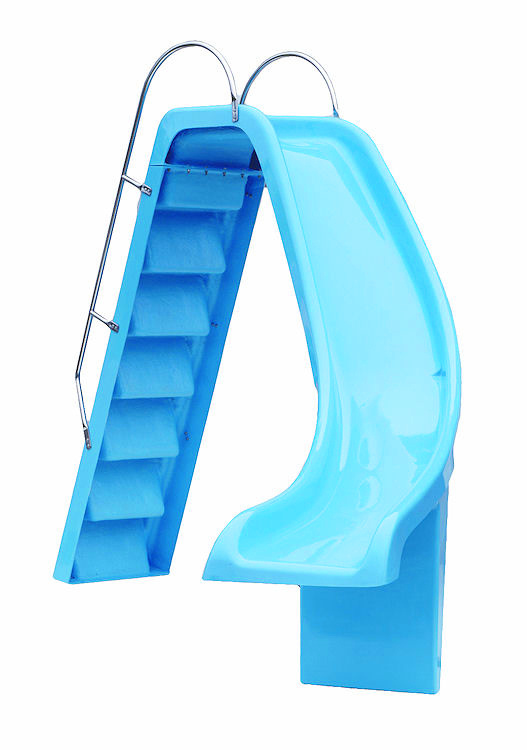 Swimming Pool Right Hand Curved Slide - 7' 6"
Swimming Pool Right Hand Curved Slide - 7' 6" Long - This slide is made of GRP for its durability, and comes complete with side safety rails on steps and water jets to aid sliding. The ladder treads are also enclosed for added safety. Swimming Pool Right Hand Slide is 7' 6" Long - this slide is made of GRP for its durability, and comes complete with side safety rails on steps and water jets to aid sliding. These Slides are shipped directly from our supplier, and are a special order. The ladder treads are also enclosed for added safety.